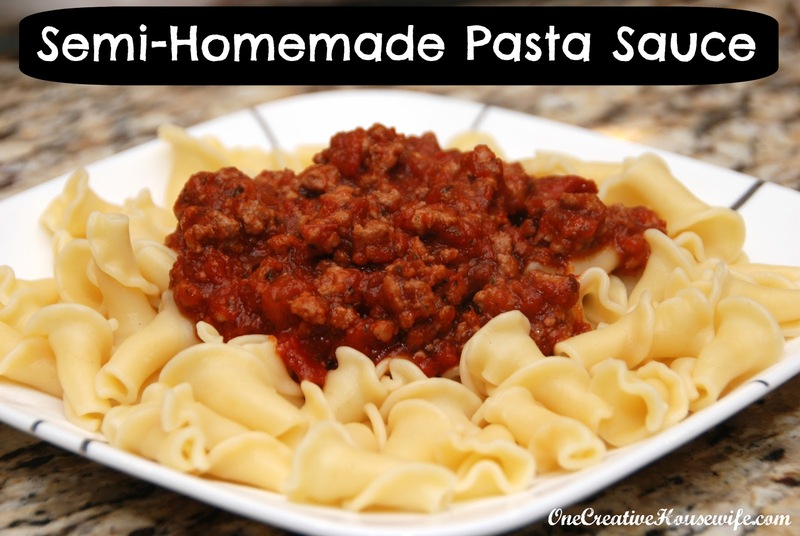 Regular store bought pasta sauce can be good, but it can be better. The sauce I like is Classico's Cabernet Marinara. The catch...I can almost never find it anywhere anymore. My solution to get that wine flavor I so desire in the sauce, is to add some wine to other sauces. I know it doesn't sound like anything special; but it totally transforms a sauce, and any meat you include in your sauce. 1. Brown your meat in a large skillet/saute pan over medium-high heat. I used my favorite pan my Le Creuset Enameled Cast-Iron 5 Quart Round Braiser*. 2. Once the meat is browned stir in your jar of sauce, and wine. 3. Simmer the sauce over low-medium heat until you get the consistency you want. 4. While the sauce is simmering cook your pasta according to package directions. 5. To serve, spoon sauce over the pasta and sprinkle with the mozzarella cheese. ~I only use 8 oz of wine if there is no meat in the sauce. ~When you add the wine it will look really watery, but with simmering you can get the consistency you want. Thank you, this recipe is amazing! 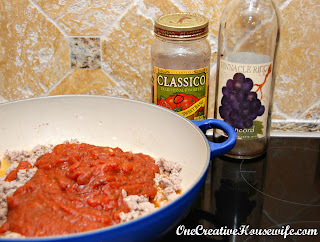 Instead of ground turkey, I used spicy ground sausage and Lambrusco for the wine, best sauce ever!